New Apex Legends hack and cheats make landfall as aimbots are now in the game, here is proof. It took a little over a week, but cheats are now circulating in Apex Legends. Although the game is a smash hit, there is a dark side to every new game after its initial release. Trying to control and clean the game from hacking, most importantly aimbots will be a challenge. EA now has the tedious task of keeping Apex Legends clean from hackers and cheaters. 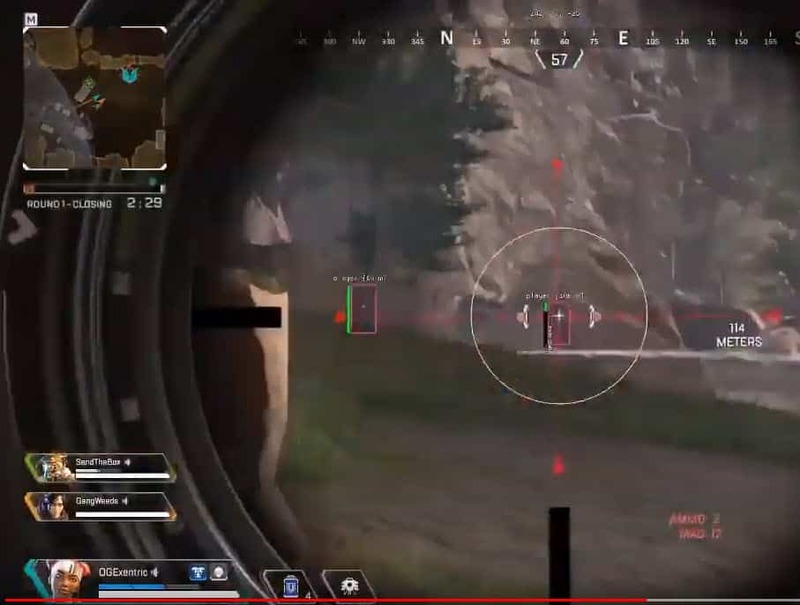 Recently discovered footage on YouTube shows aimbot footage during Apex Legends live play. The biggest question now is whether EA is ready to take action immediately on the Apex Legends hack. The game is free and no outages have been scheduled as of yet. The hack seems to be undetected and will require players to spread the word and manually log cheaters, should they encounter any. Previous titles from the CoD series have been single handily destroyed on the PC side with aimbots and hacks taking over and never cleaned up. There is no doubt by the video posted, that the hack is active and functional. This image shows an enemy location and distance through a mountain. While a green line indicates his remaining health. 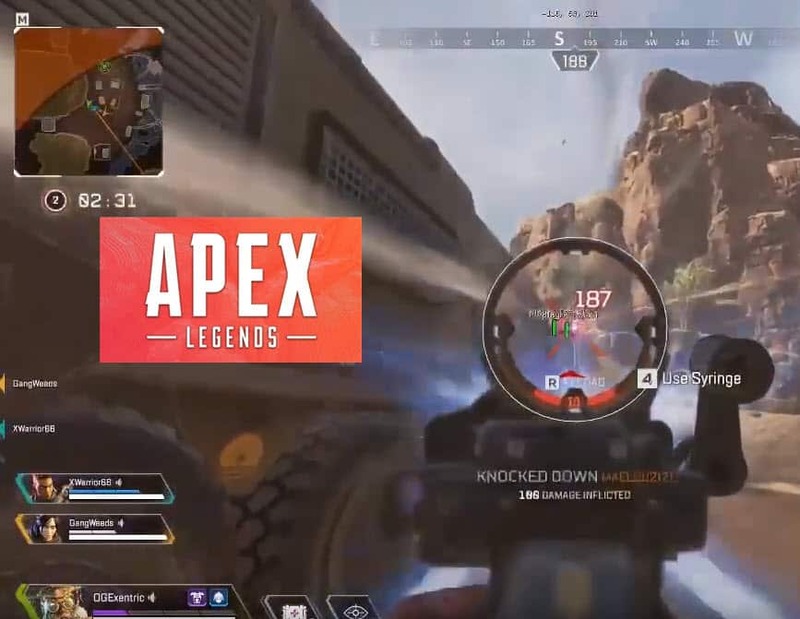 The video in question, 100% confirms that hacks and aimbots are now active in Apex Legends. Although reporting a name is the easiest way, players must understand that someone may not get banned immediately. Developers can track a player through files being used before banning an individual. The problem must be stopped on the file side of the game, not just the user end of the hack. Apex legends is extremely active in social media, both with twitter and Reddit groups. This is the first true test for EA as a clean game is vital for the longevity of its popularity. The longer problems persist the more a game loses its fanbase. Lets hope EA takes action fairly quickly.